Trench drains are typically installed in hard surfaces (i.e. 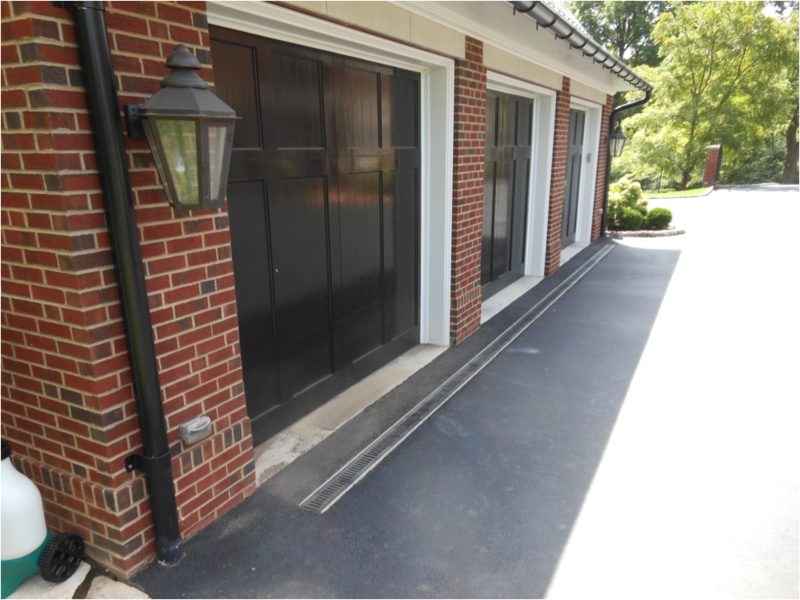 driveways, patios) to collect surface water. The outlet pipe beneath hard surfaces is always schedule 40 PVC pipe. Schedule 35 PVC pipe is used beneath turf areas or shrub beds. The trench drain is made of a polymer concrete product (stronger than concrete) with a cast iron grate with your choice of designs.